I was treated to a wash and blowdry in Dylan Bradshaw’s fabulous Dublin Salon with Cathal looking after me from start to finish. 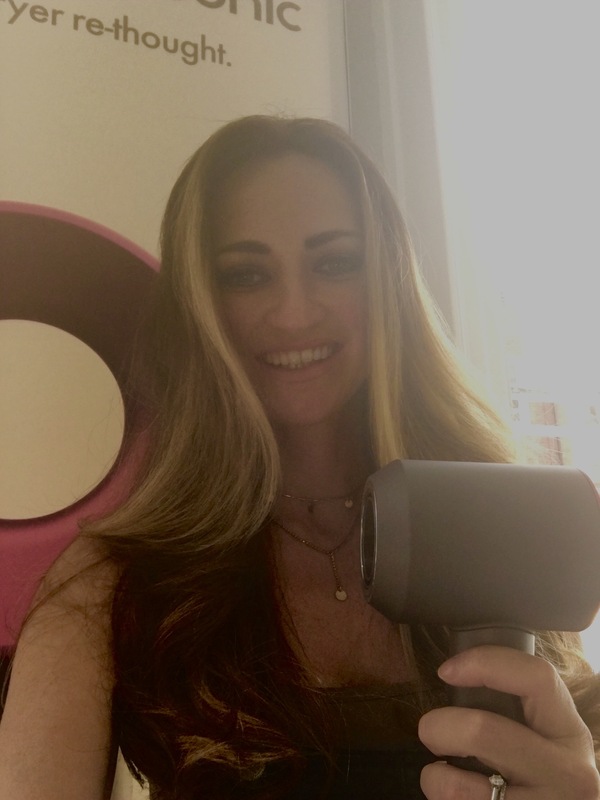 He made me see why you girls love getting professional blowdries so much, it was such a nice treat for me to be on the receiving end for a change! We were spoiled with prosecco and canapés and extremely informative one on ones with Lily and Emily from Dyson. 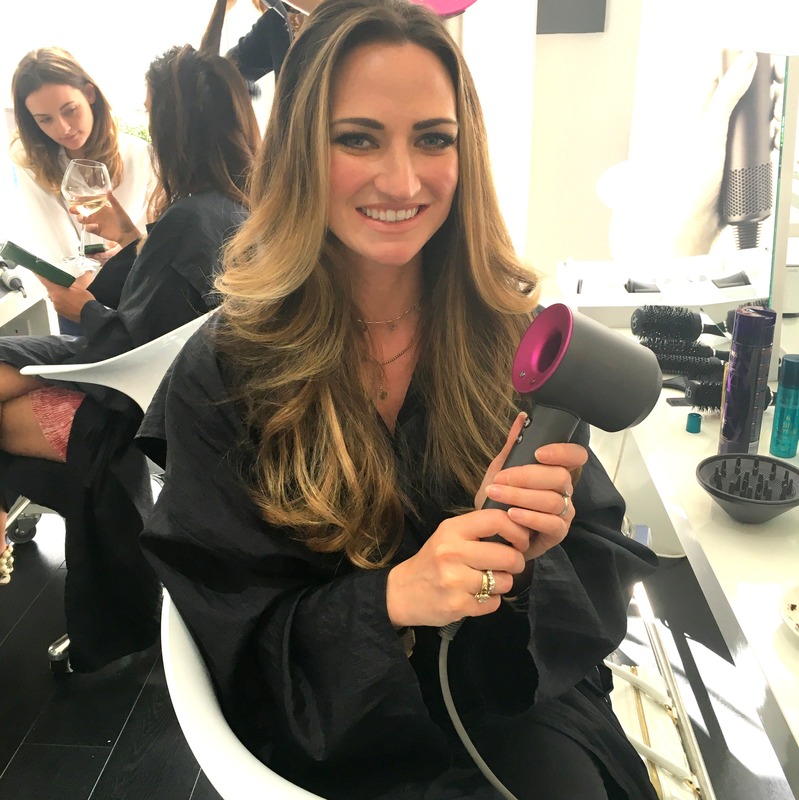 This is the first time that Dyson has taken a leap into the beauty industry with its first intelligent hair dryer. 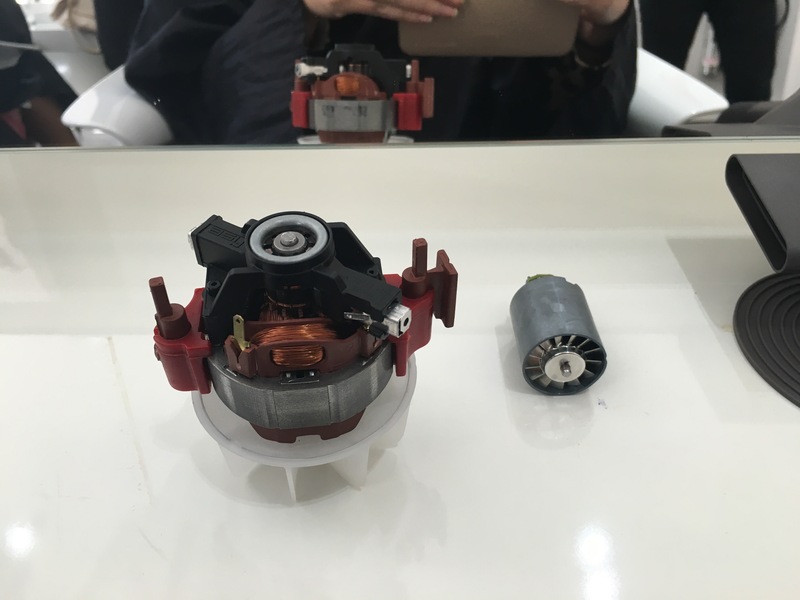 Some Hair dryers can be bulky and difficult to manoeuvre, some can overheat and can blast air at high temperatures, which can cause extreme heat damage, all with the risk of hair being sucked into and trapped in the filter. Dyson engineers set out to rethink the hair dryer to combat these issues. As soon as I held one it was love!!! It’s lighter than any other hairdryer I’ve held, it felt so comfortable in my hand and it’s absolutely beautiful. 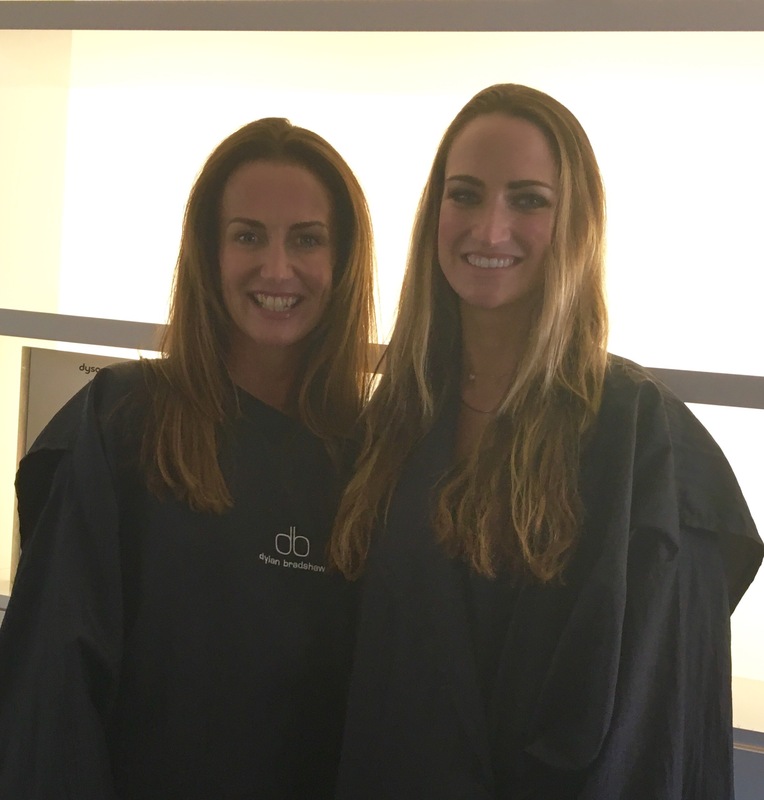 It was so easy to manoeuvre and whilst initially I had to ‘unlearn’ the procedure I would normally use to dry hair and retrain my brain in how to hold this new technology, it did not take long. I don’t think I could go back now. My hair was dry in half the usual time and the dryer felt so powerful, leaving my hair silky and soft. Myself and my sister Lorraine before. Are all other hairdryer brands kicking themselves that they never came up with this new concept first? I would say YES! 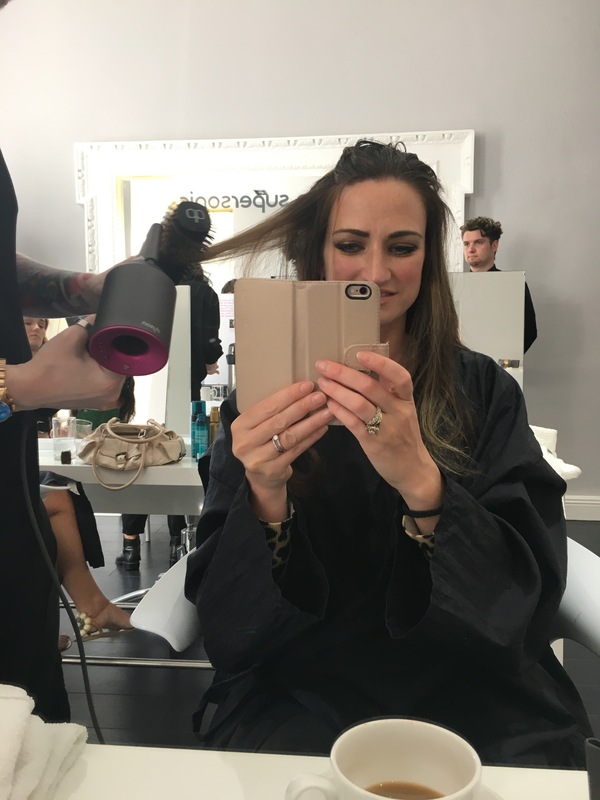 If you want to see the future of hairstyling for yourself head to the Woman’s World Show at the RDS Simmonscourt this weekend 4th-5th June where a Dyson Supersonic Salon is set up with a team of 8 stylists offering free hairstyling. I heard they even have some there to buy while stocks last! 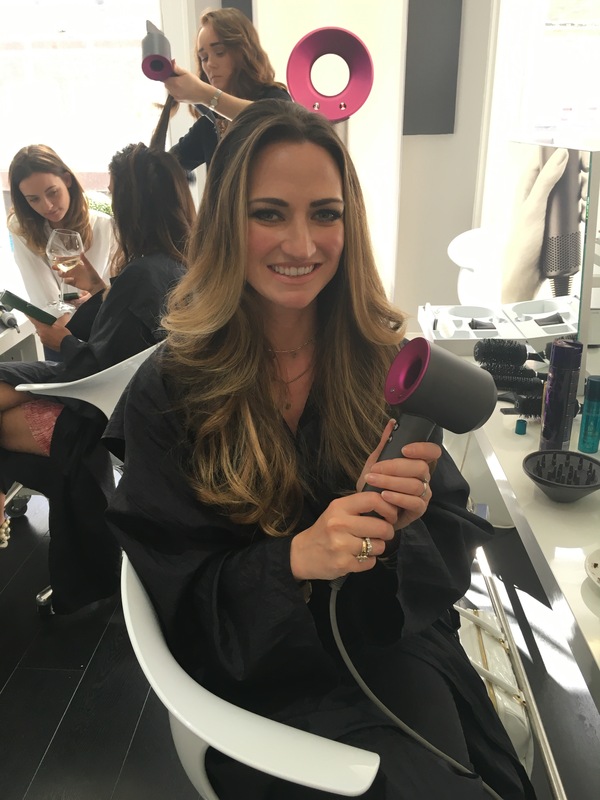 Dyson Supersonic salon will be operated on a first come first served basis throughout the two days of the Womans World event. I will be popping by the show myself to see Dylan and the team create 3 looks using the Dyson Supersonic but I don’t need to try out the dryer again, as I couldn’t leave today without being the lucky owner of this baby! Dyson Supersonic Is available to buy in Arnotts Dublin from June 16th. Great article Tori ! looks amazeballs ! Will have to come and try it !